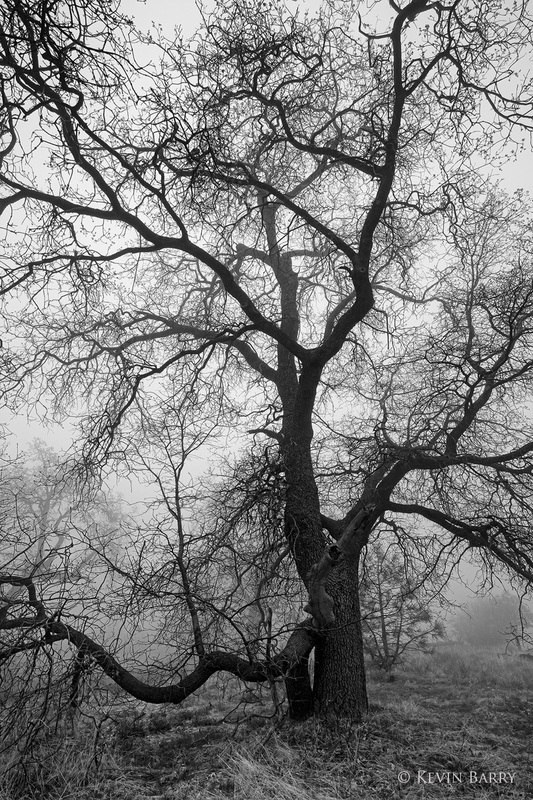 Foggy conditions help abstract an old oak tree (Quercus sp.) at a high elevation in Cleveland National Forest. Photo © copyright by Kevin Barry.